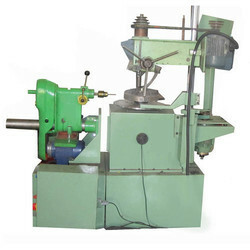 Offering you a complete choice of products which include belt driven balancing machines, horizontal axis balancing machines, vertical axis balancing machines, fan blade balancing machine, end driven dynamic balancing machines and yoke balancing machines. 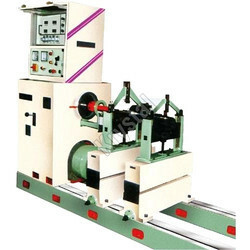 We are a renowned organization engaged in manufacturing and offering of a wide range of Belt Driven Balancing Machines.Our technologically advanced machines are easy to use and require low maintenance. 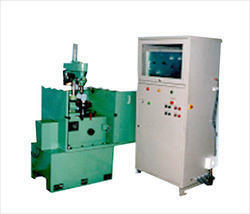 We manufacture and provide the wide range of Horizontal Axis Balancing Machines. These are available in different models such as end driven machines, belt driven type balancing machines and measuring system options for balancing machines. 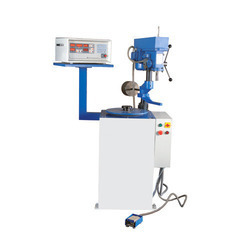 Our range of horizontal axis balancing machines is used to detect the unequal distribution of mass around the rotational axis of the rotating components. We cater our range to the exact demands of the automobile industry, electric machines industry, and pump industry. 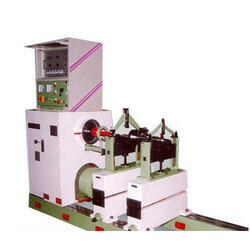 We manufacture and supply a wide range of Vertical Axis Balancing Machines. These simple to operate balancing machines have built-in electronic compensation, which is required for compensating the shift between rotor axis and mounting axis. Note: Due to constant research and development, specification and features are subject to change without notice. 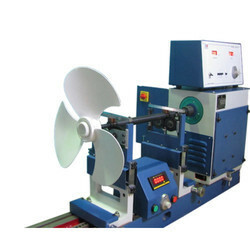 Fan Blade Balancing Machine is a specialized product offered by Krystal to the ever-growing market requirement of balancing of the fan blades. Fan blades are critical to balance as they are having very little scope to remove or add mass to balance the assembly. Further the position of the blades makes it challenging to position the location of unbalance. Krystal Fan Blade Balancing Machines are very easy to operate and give precise unbalance amount and angle. Depending on the mounting of the fan the cycle time to reflect the results can be as low as 30 seconds. These machines are available in different sizes and can capacities to accommodate wide range of fan options. 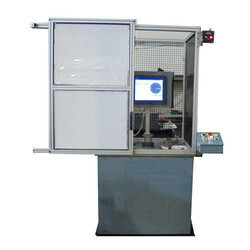 The results can be displayed either on the digital display or can be transferred to the computer using the Krystal Dyna software for balancing machines. It are designed and developed after years of experience in this field. All models are manufactured under strict quality control at all manufacturing stages. All these models are suitable for Balancing variety of components as well as for production balancing. All types of components, i.e.Armatures, Crankshafts, Fans, Flywheels and all such rotating components can be balanced on these machines with properly designed balancing Fixtures. These machines can be equipped with variety of measuring systems suitable for the application and depending on sophistication level required. All Krystal make Balancing Machines meet relevant National and International standards like BIS, ISO etc. Driven Methods which Meet your Requirements. Suitable Type of Readout System for Every Accuracy Requirement. 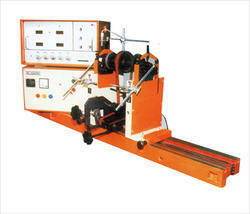 Looking for Dynamic Balancing Machines ?